April 15th is just over a month away, and many of us that have yet to file taxes are spending the next few weeks thinking about the various deductions we qualify for before we file. For tax year 2013, the standard deduction is $6,100 for single Americans and $12,200 for those married and filing jointly. That means unless you can claim more than those amounts, there’s usually no reason to itemize. One of the most common ways to get over the threshold, however, is to own a house and unlock the many deductions that come with homeownership. But it’s not as simply as simply mailing a mortgage bill to the IRS and reaping the rewards. There are a bunch of very specific deductions that require specific paperwork. 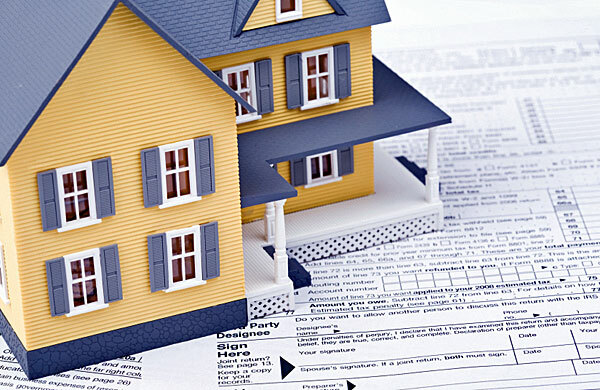 Claiming mortgage interest is the biggie, and one of the most common deductions among taxpayers. Currently the cap on mortgage debt we can deduct for tax purposes is 1.1 million. This includes multiple loans, so those with a primary residence in Tennessee, but own a vacation home in Florida, they can claim interest on both, as long as the total is under the cap. Be careful of claiming a mortgage interest deduction on home equity loans that haven’t been used to improve the property. If you refinanced your loan and decided, ‘Hey, why don’t we take another $50,000 out in equity,’ but then you don’t use that money to, say, build a pool, that’s not fully deductible. You must use the money to improve the house, or you aren’t allowed a deduction. In addition to mortgage interest, private mortgage insurance is also deductible. Don’t mistake private mortgage insurance, or PMI, for homeowner’s insurance that protects against a fire or other loss. PMI comes into play with lower-income homeowners who often can’t afford a big down payment, and instead pay a small monthly fee as insurance against default. If you make a private mortgage insurance payment, in most cases this is deductible. Also worth noting is that local and state property taxes can also be itemized on federal tax returns. Particularly for lower-income Americans, there may be special property tax benefits available based on your community. Unless Congress extends existing tax credits for residential energy efficiency, 2013 is your last chance to claim up to $500 in green energy credits. You can still get credit for, Insulation, energy efficient windows and doors, high efficiency air conditioner and heaters. Still, the cap is small at just $500, and it’s not applicable if you claimed it previously since the credit was passed in 2011. A separate and more substantial credit is available for solar energy installations, so long as they are on your primary residence and not a rental property. The credit is for 30% of the cost, including installation, wiring, and set up. Of course, for homeowners who have taken advantage of a resurgent housing market by selling their homes altogether, there are also tax implications. If you sold a home in the past year, costs including title insurance, advertising and real estate broker fees can also be claimed on your return. You can also claim certain repairs to reduce your capital gains on the sale, presuming they were made within 90 days of the sale and clearly for the intent of marketing the property. And after the sale? If you had to find a new home because of a new job that is located more than 50 miles away from your old home, you may be able to deduct your reasonable moving expenses, too. Especially given the very harsh winter weather we’ve seen recently, it’s important to note that when disaster strikes you are able to claim a tax break for any significant losses. You have to have a loss more than 10% of your income. If you make $50,000, you have to pay $5,000 out-of-pocket before you are eligible for any deduction. And for the record, that’s an out-of-pocket loss. You won’t get a deduction for losses that were covered by your insurer and that you were compensated for.